Ben isn’t a huge fan of sweets like gooey butter cookies or funfetti cake batter dip, but if you bake the man a loaf of bread he’ll eat the entire thing in one sitting. 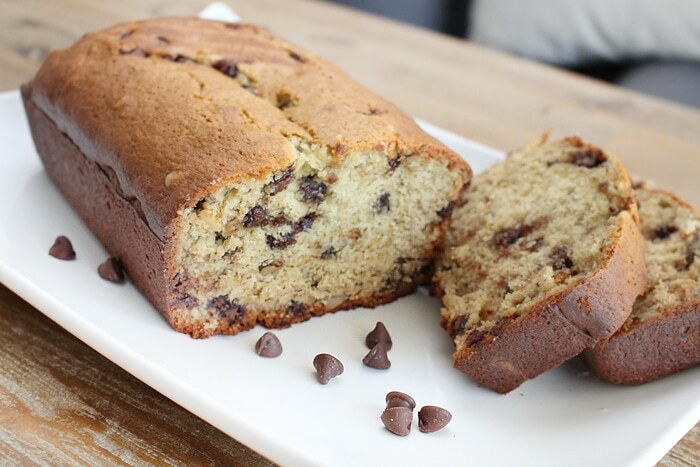 During the colder months his favorite is my pumpkin walnut bread, but this summer he seems to be asking a lot for something a bit sweeter… chocolate chip banana nut bread! Preheat oven to 350 degrees. Grease bottom of 9×5 inch loaf pan. 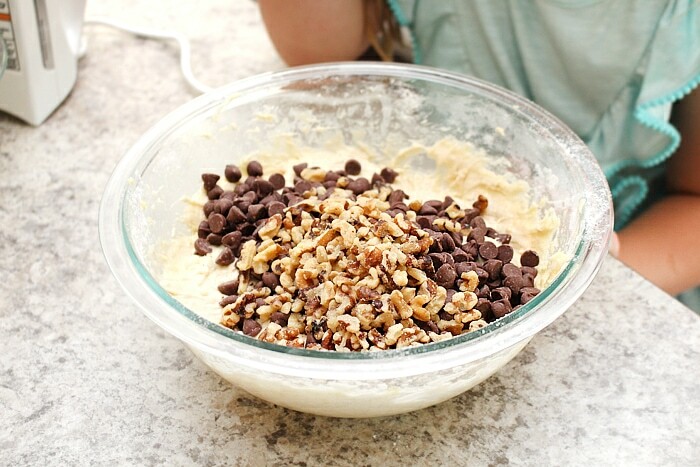 In large bowl, combine all ingredients except chocolate chips and walnuts. 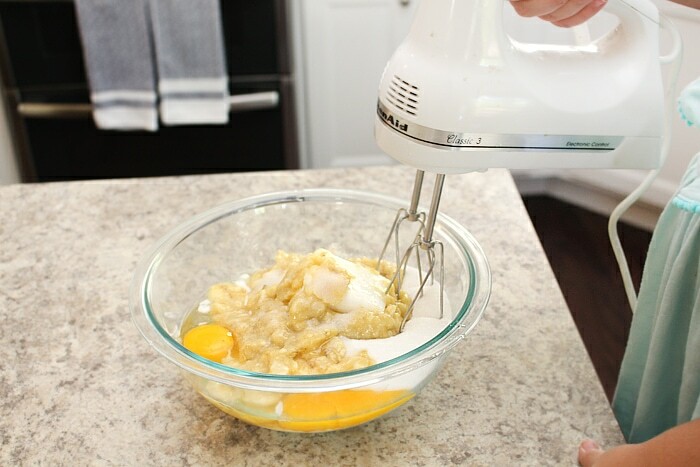 Mix well for 2 minutes with electric mixer. As you can see my lovely assistant made this entire loaf by herself. Quite proud of my budding baker! Bake about 50-55 minutes or until golden brown. 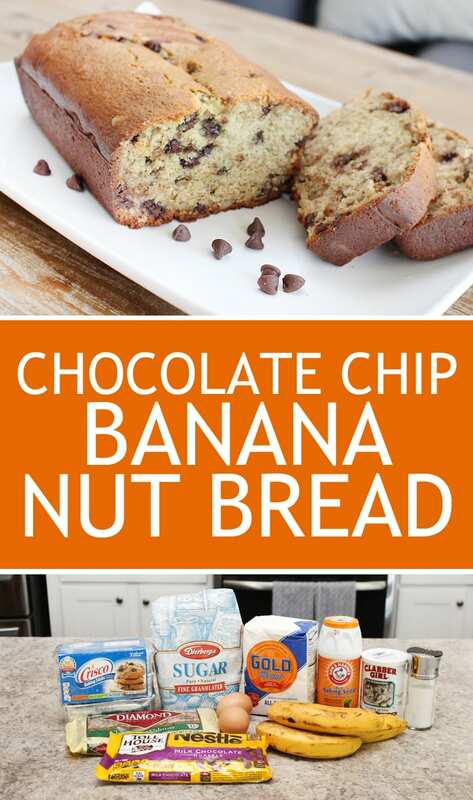 This is pretty much the only way my kids will eat banana bread. Chocolate just makes everything better, right? 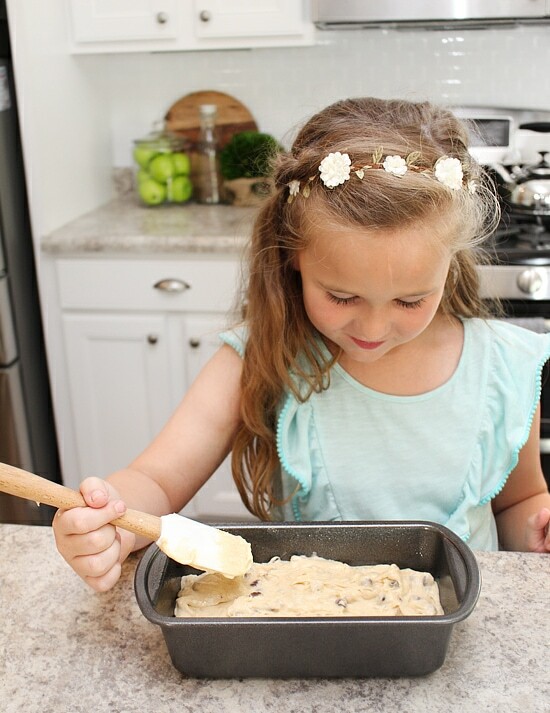 Thanks so much for sharing on Delicious Dishes recipe party! There’s just something about the unique flavor when you combine chocolate with banana nut! 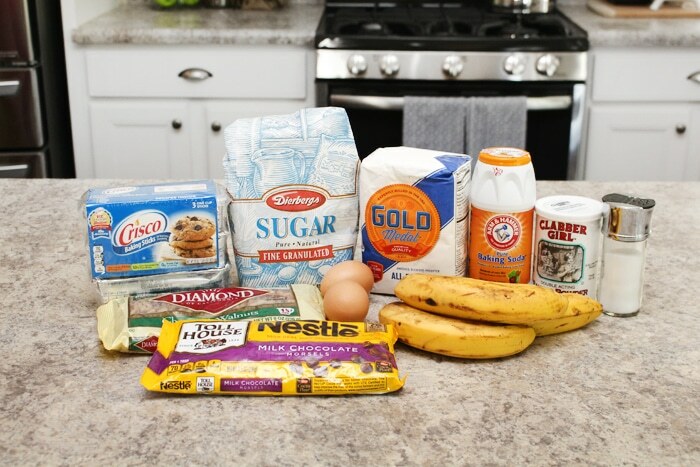 A delicious recipe for a mid-afternoon or mid-day snack!